The hybrid features a 3.3-liter, naturally aspirated V-6 paired to a lithium-ion battery pack and an electric motor to provide a combined output of 318 horsepower. Ford didn’t list total torque, but said the electric motor produces 200 pound-feet of torque. With its 10-speed automatic transmission, the Explorer hybrid will be capable of delivering 500 miles of range on a full tank in standard rear-wheel-drive guise. All-wheel drive will be optional on the Explorer hybrid. 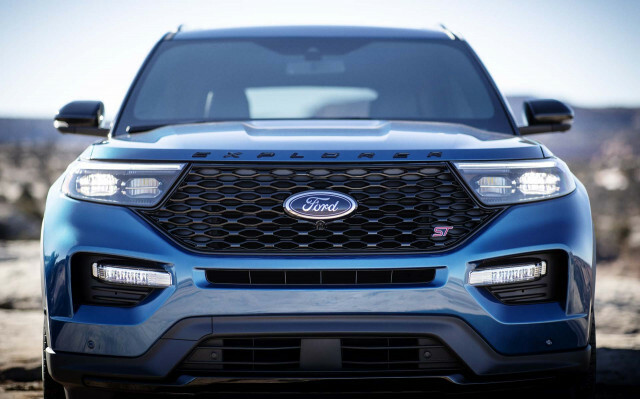 Ford stopped short of saying just how fuel-efficient the 2020 Explorer hybrid will be, but the automaker told The Car Connection that the Explorer hybrid will have a 19.4-gallon fuel tank, which works out to around 26 mpg. That’s a surprisingly low figure compared to the Toyota Highlander Hybrid’s 28 to 29 mpg combined rating with its standard all-wheel-drive system. However, Ford said that the hybrid powertrain won’t badly ding the Explorer’s towing ability. It’ll be rated to lug as much as 5,000 pounds, down nominally from the Explorer lineup’s 5,600-pound max rating. The Highlander Hybrid is rated at 3,500 pounds. At least initially, the Explorer’s hybrid powertrain will be available only in the Limited trim level. The Explorer Limited hybrid comes with leather upholstery, first- and second-row heated seats, a wireless charging pad for phones and tablets, and a 14-speaker B&O audio system. 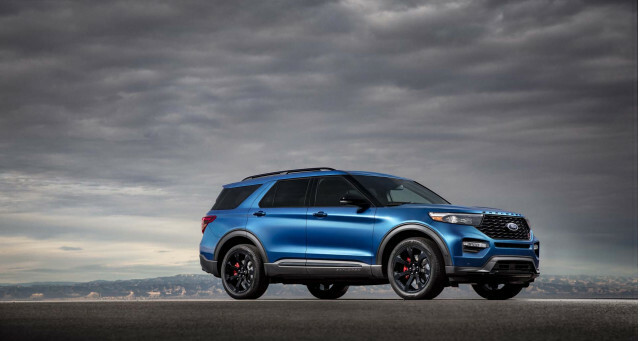 Replacing the Explorer Sport in the lineup, the 2020 Explorer ST uses 3.0-liter twin-turbo V-6 rated at 400 hp and 415 lb-ft of torque (on 93-octane gas) that roots power to all four wheels via a 10-speed automatic transmission. Special calibrations triggered by the drive-mode controller’s Sport setting tighten steering heft, retune the transmission and throttle, and pipe a synthetic engine note into the cabin. Underneath, the Explorer ST is fitted with tauter suspension than the standard model.